These two were waiting for whatever it is cows wait for when they’re at the state fair. Maybe they were waiting for visiting Texans to show up with a camera? 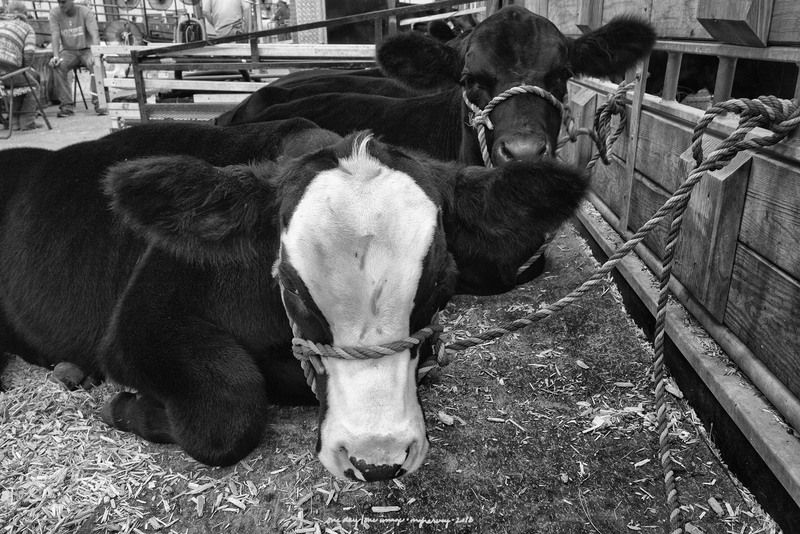 Posted on September 11, 2018, in Photography and tagged 365 photo project, black and white photography, cows, Grand Island, Grand Island Nebraska, learning to see, Leica, melinda green harvey, monochrome, Nebraska State Fair, one day one image, photo a day, photography, postaday, road trip, thoughtful seeing, travel photography. Bookmark the permalink. 2 Comments. Looks as if they’re used to their picture being taken. They are like large, placid beauty queens!